Cruise from Hong Kong to Stanley to explore this popular destination for both locals and visitors. 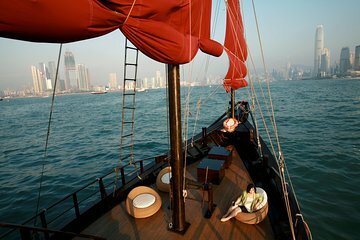 During the 90-minute Aqua Luna cruise from Victoria Harbour, enjoy a drink while you admire views of the Hong Kong skyline. Discover Stanley independently, and then return to the city, if option selected (choose a one-way or round-trip cruise when booking).